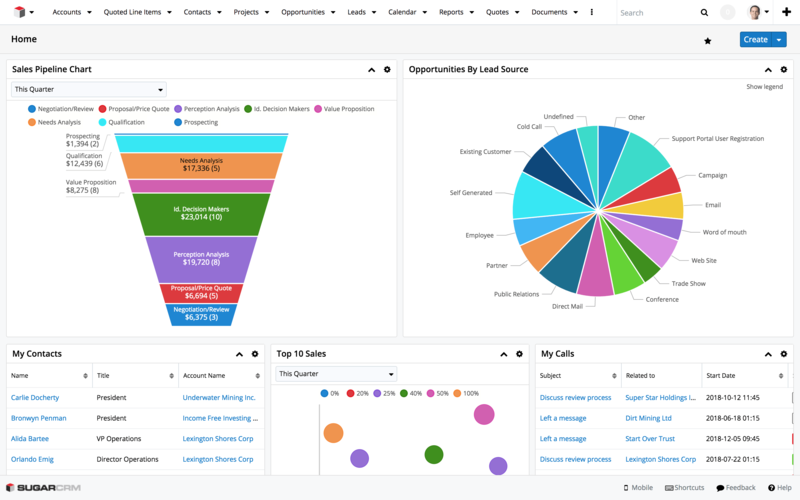 SugarCRM is a solution focused exclusively on customer relationship management. SugarCRM allows users to build a unique customer experience through great customer relationships. The software allows for customization by each user and has an open API for integration with other software platforms. Captivea leverages technical expertise to add value while keeping the experience human. Still not sure SugarCRM by Captivea is right for you? Use our Product Selection Tool to compare other CRM Software solutions. Have questions? Call one of our unbiased Technology Advisors for a free consultation. Learn everything you need to know about SugarCRM by Captivea. Our experts will reach out to you shortly.